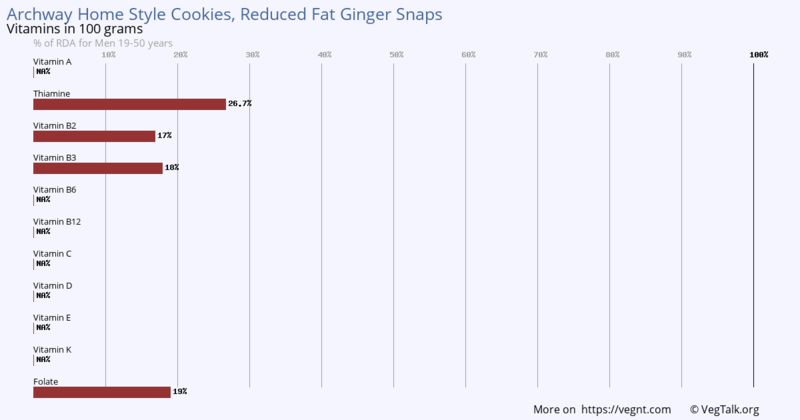 Archway Home Style Cookies, Reduced Fat Ginger Snaps. 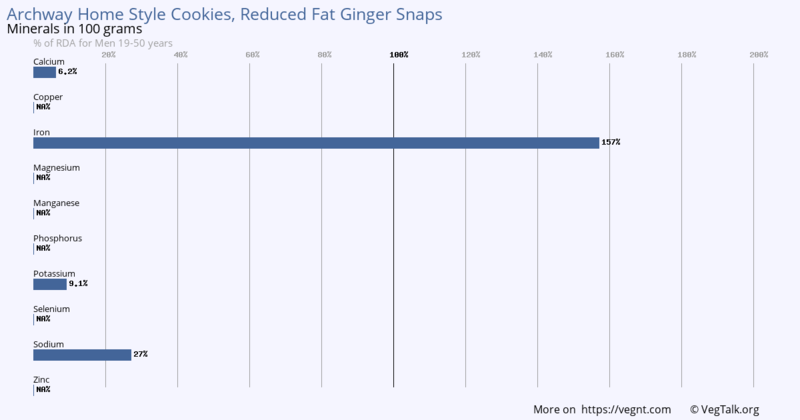 100 grams of Archway Home Style Cookies, Reduced Fat Ginger Snaps is an excellent source of Thiamine. It has a good amount of Vitamin B2, Vitamin B3 and Folate. 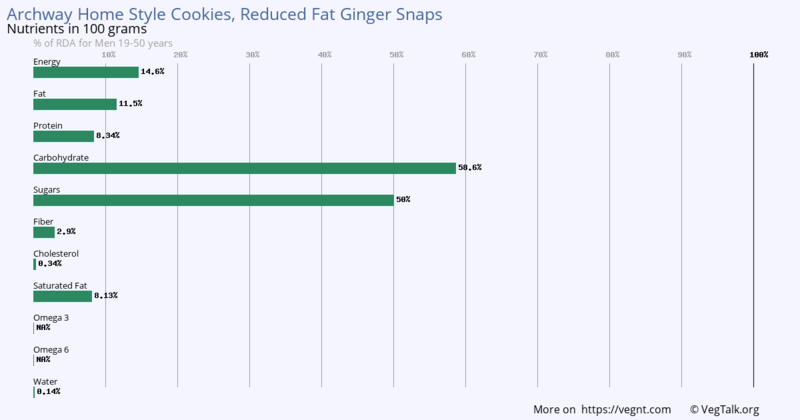 100 grams of Archway Home Style Cookies, Reduced Fat Ginger Snaps has outstanding amounts of Iron. It is an excellent source of Sodium. It also has some Calcium and Potassium. 100 grams of Archway Home Style Cookies, Reduced Fat Ginger Snaps is an excellent source of Carbohydrate and Sugars. It has a good amount of Fat, Protein and Saturated Fat. It also has some Fiber. Nutrients data from USDA National Nutrient Database for Standard Reference by US Department of Agriculture, Agricultural Research Service, Nutrient Data Laboratory. Recommended Dietary Allowances (RDA) compiled from U.S. Department of Health & Human Services , National Institutes of Health.